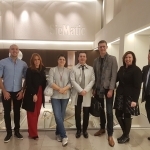 Project Kitchens is one of SieMatic’s biggest brand ambassadors and we love nothing more than taking customers, their specifiers and interior design team over to Germany to meet the designers and see the product manufactured first hand. 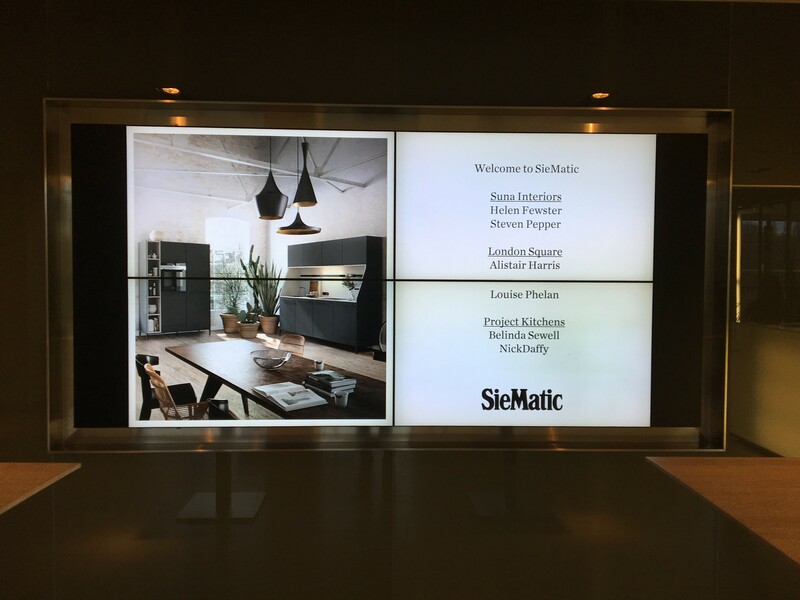 As the UK’s most highly accredited contract suppliers of SieMatic to the developer market, we want our client’s vision for each specific project to be realised and educating their project team about SieMatic is always a good place to start. 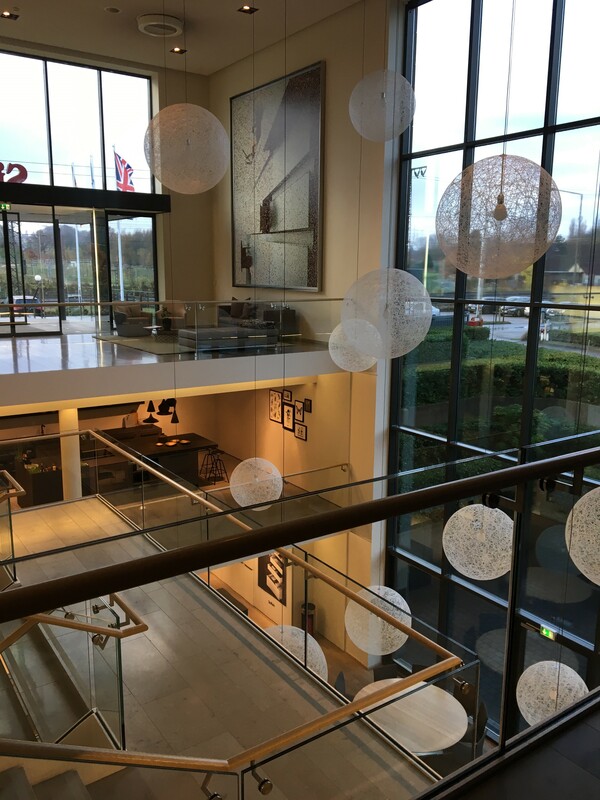 We visit Germany with clients several times a year and recently headed over to Löhne with London Square, Suna Interiors and developer Louise Phelan, for a unique insight into one of the World’s most prestigious luxury brands. SieMatic is found in more than 60 countries over 5 continents and offers three concepts – Urban, Pure and Classic. 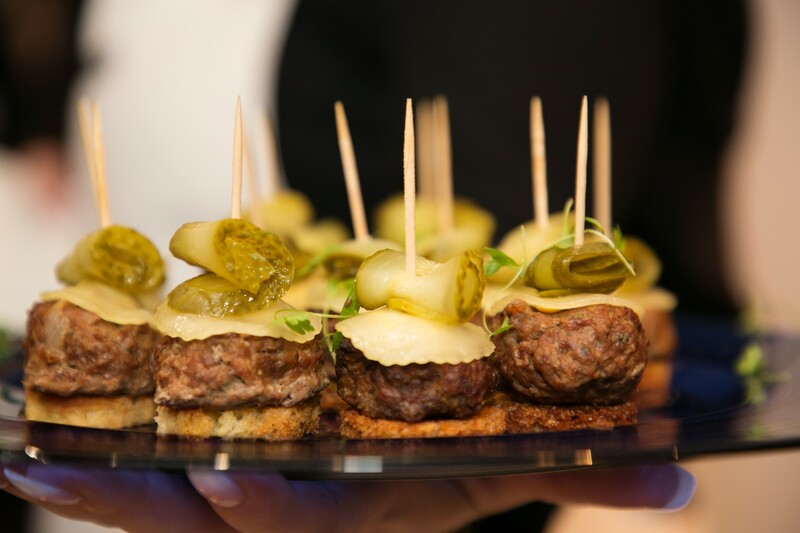 The Project Kitchens’ team has two extensive and wonderful showrooms in the UK, but nothing prepares clients for a trip to Löhne. 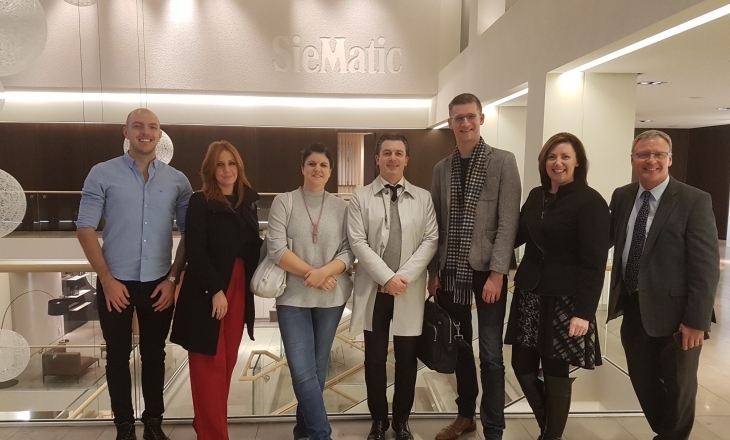 The 1.5 day trips are always hosted by Bernard Otulakowski, Managing Director of SieMatic UK and members of our sales team. 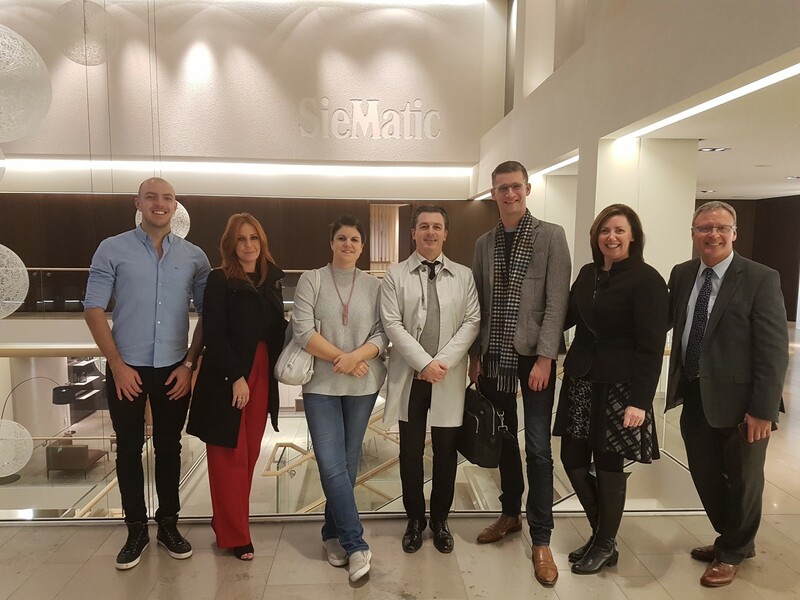 The unique relationship we have with Bernard and SieMatic has been nurtured for over 20 years and the creative, strategic partnership we share is very much reflected in these tours. 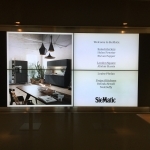 ”Collaborations and team meetings back in the UK are always so much more productive when clients and their advisors have seen the full SieMatic product offer and understand the skills, experience and engineering behind each kitchen concept. These trips are invaluable in explaining practicality, layout, choice of materials, spatial awareness, light, shape, appliances and accessories for example. Met our new Sales Manager Nick Daffy yet? 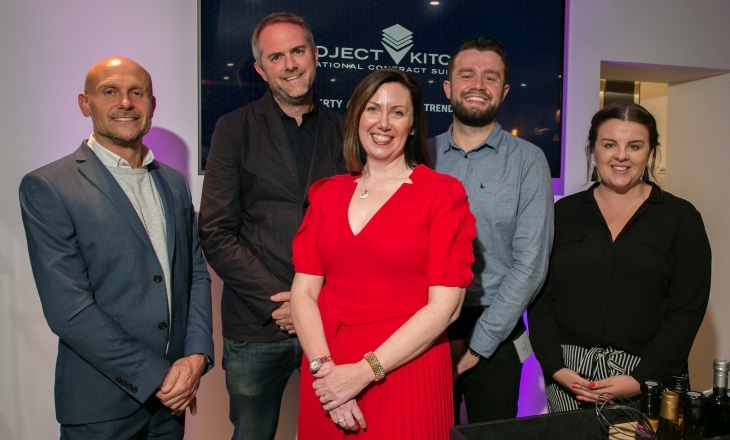 We caught up with him just weeks into the job and asked him for a flavour of a ‘typical’ day at Project Kitchens? Early morning meeting or networking breakfast (try not to eat!). 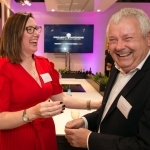 I try to attend something in Manchester city centre like the Movers and Shakers or Place North West events to keep up with prospects, contacts and keep the brand visible. 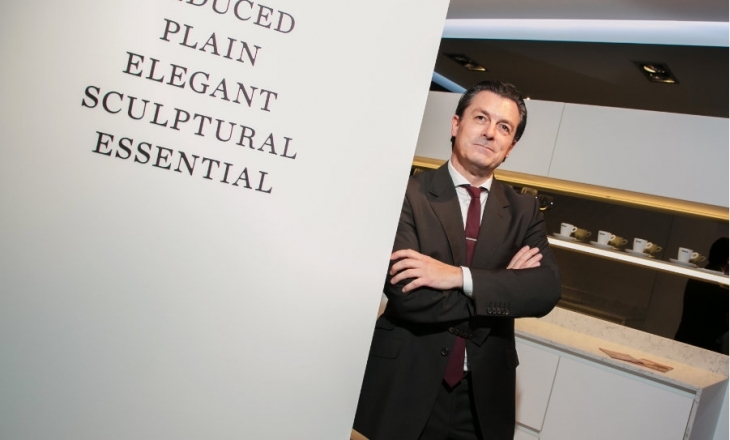 We find increasingly that clients come to us, not just to work with the SieMatic brand, but with the Project Kitchens brand, which is a testament to our 15-year track record. Get to office – check emails, brief design jobs with CAD team, check work in progress, answer emails, may talk to senior management team if they are about. 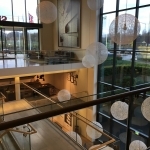 Back to Manchester for meeting with Arcadis – looking at new schemes with them, exciting to be working with them again following my time in the F F&E industry. Conference call back at the office with new London client – this is a big scheme that we are tendering for and I am working closely with the client and their architect, as well as interacting with their main contractor. Many points of discussion, SieMatic involved in conference call. Lunch at my desk – usually some fruit or a sandwich if I am feeling adventurous! Lots of coffee. Brief meeting with our PR agency regarding various projects, awards entries and features. Presentation in our Manchester showroom to a team of architects currently working on a city centre scheme who are interested in our product. They don’t work with us yet but they hopefully soon will! This presentation showcases SieMatic and Project Kitchens in a relaxed and informal style and invites an open dialogue. 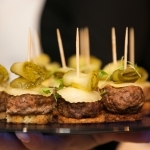 We agree a follow up with a couple of their clients attending one of our pop-up trend events. Finish up at the office to catch a train to London for a morning meeting. When in London I try to visit competitor sites alongside our own sites, to get a feel for progress and in particular our London Square sites which are always vibrant. Opportunity to Train as a CAD Designer with our Award Winning Team. 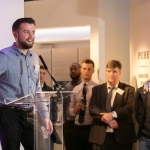 We are seeking a trainee CAD Designer to join our growing team here at Project Kitchens. 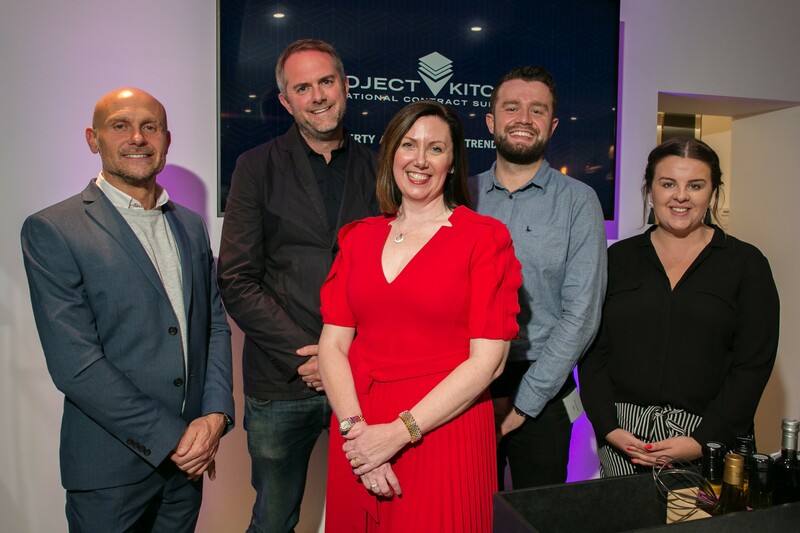 If you, or someone you know, is educated to ‘A’ Level standard and seeking an exciting and creative career within a dynamic business, please get in touch with amandad@projectkitchens.com. As the national contract supplier of luxury SieMatic kitchens to the developer, housebuilder and architect market, we need someone to help with the production of plans and visuals. Ours is a fast paced environment, but full training will be given. We have the highest standards of design, installation, service and accreditation so you will be starting out your career in poll position. SieMatic kitchens are sold in 70 countries worldwide and you will learn 2020 Fushion software as part of your training. 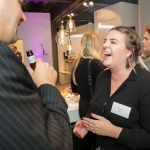 We are looking for a creative person and a good communicator, with a keen attention to detail. Eventually, the trainee will: organise workloads and timescales to meet deadlines; interpret architects plans; understand kitchen specifications; and design to budgets. 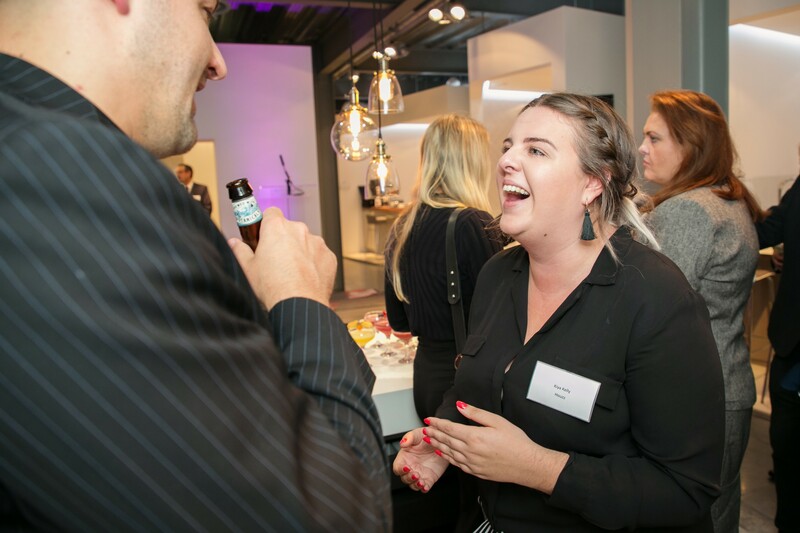 Our client list is exceptional and so are our people – could you be the next PK superstar? 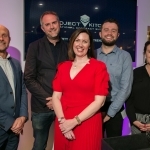 Our first ever Property Trends Pop Up Event in October was a huge success and a big thank you to all our speakers and guests. 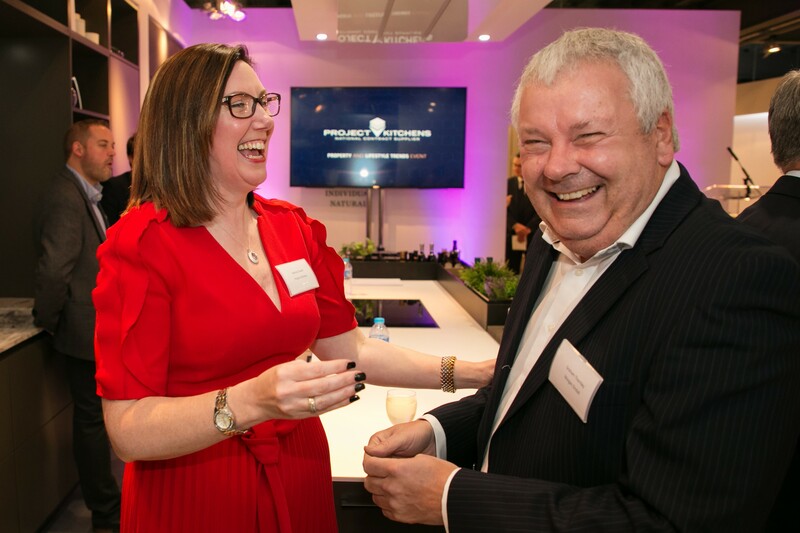 Over 70 members of the property industry were wined (well gin mostly!) 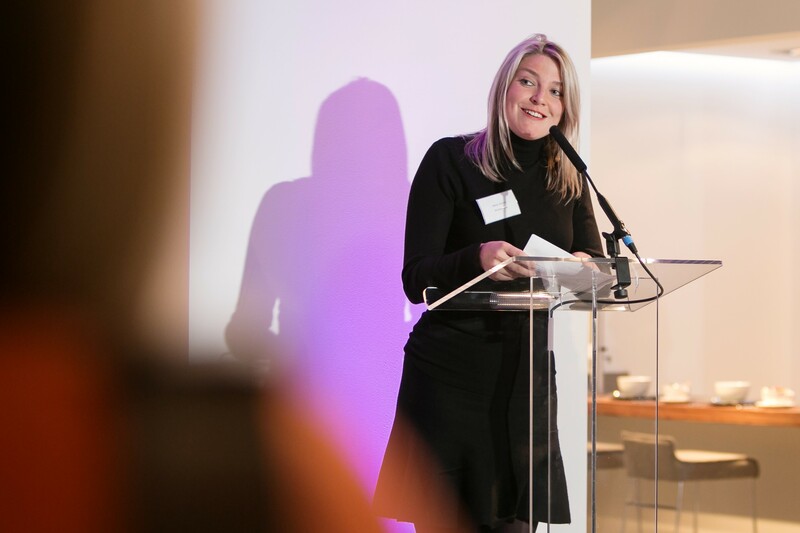 and dined in our Manchester showroom, whilst listening to talks from SimpsonHaugh, Houzz, Miele, Angel No.66 and our very own Belinda Sewell. Belinda swept through the decades with a fun retrospective look at kitchens then and now. She explored the huge influence fashion has on kitchen design and Beckham’s pants even made an appearance. Simon Critchley from SimpsonHaugh explained that trends in architecture are a little more subtle, as he took us through schemes such as Dollar Bay, London and Manchester New Square. 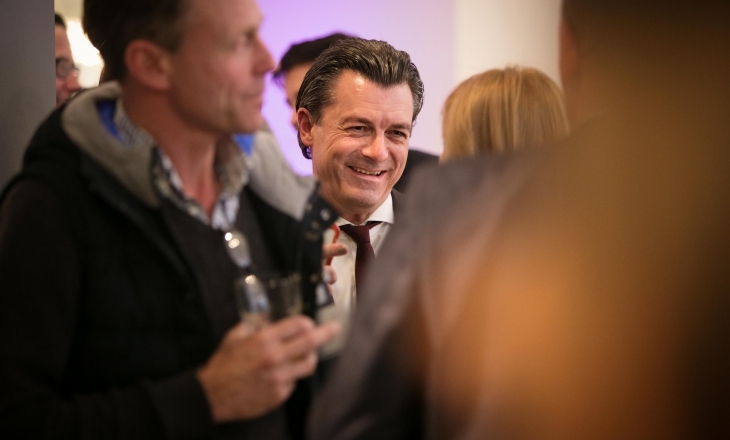 Whilst Peter Vella, ex Countryside Sales and Marketing Director, spoke enthusiastically about trends in PRS. Kiya Kelly from Houzz wowed us with what’s new in interior design online and how the industry is using Houzz for project ideas and inspiration, whilst Sven Hanson-Britt, ex Celebrity Masterchef winner and Miele’s Executive Chef, talked Farm to Fork with his forthcoming new restaurant Hardley Hill Farm in Derbyshire. Fun night and to be repeated on the 30th November, for those who couldn’t make it! 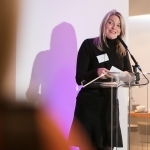 If you would like to attend or speak at one of our events please do get in touch – amandad@projectkitchens.com. We’d love to hear from you. Team PK is delighted to welcome Nick Daffy to the fold as Sales Manager. 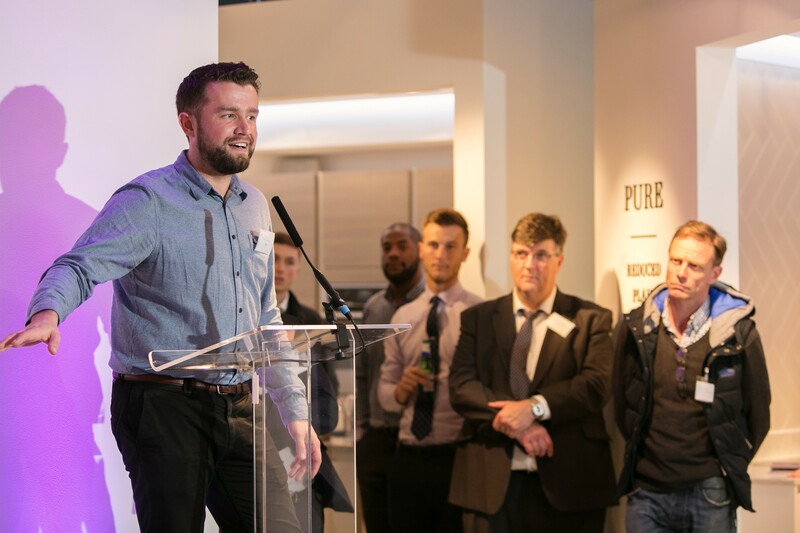 Previously Head of Sales at commercial contractor Dragonfly Contracts Ltd, Nick will drive Project Kitchens’ sales activity in the North West whilst taking control of the Southern Sales team.